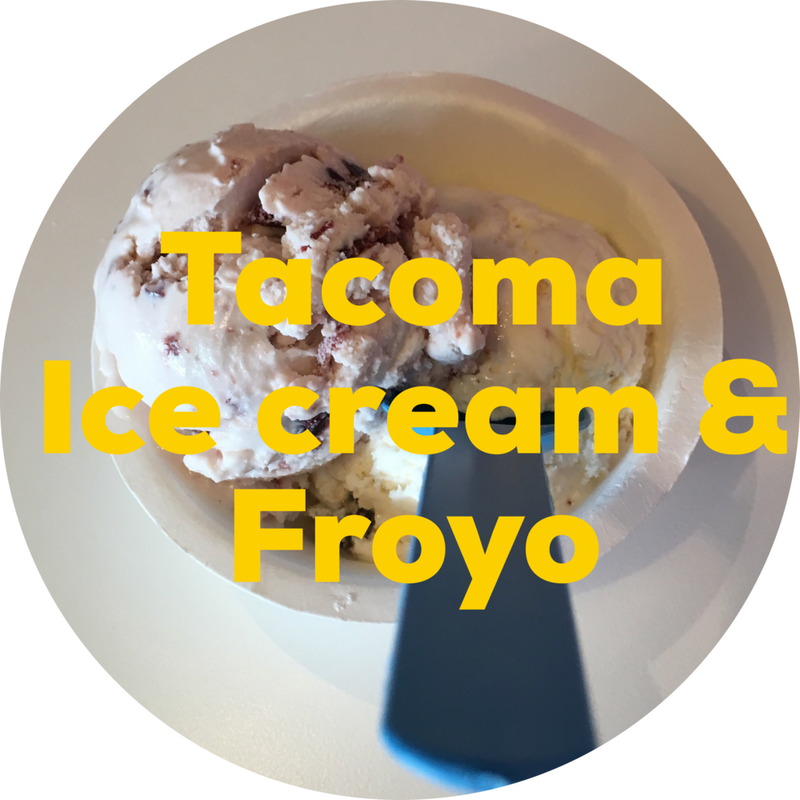 Before moving to Tacoma, Molly Moon's was our go-to ice cream shop. However, I dare to say that Ice Cream Social is even better! I prefer the texture and they have great flavors. They will have their "Everyday Flavors" so you won't be disappointed, but their monthly, rotating flavors are delicious and usually what I end up ordering. Everyday Flavors: Vanilla, Chocolate, Salted Caramel, Mint Chocolate Chip, Buttered Pecan, Strawberry, Cookies and Cream, Valhalla Coffee, Coconut Chocolate Chip (non-dairy/vegan), and Strawberry Sorbet (non-dairy/vegan). My current everyday flavor is the Valhalla Coffee. And my current flavor in the rotation is the Roasted Banana. Oh boy! My "to be honest" comment: Really the only downfall can be the lines especially the Point Ruston location. Holy moly we stood in line for like 25 minutes on a nice, weekend day. The 6th Ave location is a bit better. Also, if I'm going to compare to Molly Moon's, then I wish they did have special sundae combinations like Molly's, but really that's me being picky. This is the cutest little ice cream truck and bikes. Lucky for all of us, they are opening a storefront this summer in University Place. Ice cream texture is important to me as well as fun flavors and this place hits it out of the ballpark with both. We went the other weekend and I had the Lemon poppyseed with Sour Cherry Amaretto. Josh ordered the Cookie Monster and Orange Sherbet (weirdo combo, but who am I to say). Caleb had a bit of everything! So so good. The Cookie Monster was especially unique. It was a blue cookies and cream - hard to describe so I guess you have to go try it yourself. My "to be honest" comment: I was a little surprised at the price for the quantity. I feel like for what we paid, they could have been a bit more generous in their scoops. Maybe with the storefront coming, they will have a better economy of scale to reduce the price a bit...or give you more! This place is such a delight. They have four flavors that they switch out monthly. Two flavors are always sorbet. All the flavors are usually fruit-centric besides vanilla. The real draw to this place is the fruit toppings. The fruit is so fresh and I've never had a problem with getting a fruit that tasted bland. They are very generous on the portions and have some awesome creations on the menu as well (like serving your froyo in a pineapple). Not to mention, the price is outstanding for what you get. Another fun thing when you go in for the frozen yogurt is that they make a big production of the tasting. They often grab a tray and give you a swirled tasted of each flavor for every member of your party. The service is friendly and you can tell they are really trying hard. I tend to prefer more cookie/candy flavored froyo, but I'll make an exception for this place. My "to be honest" comment: They don't have air conditioning and it can get hot inside the shop. Also, I do like me some cookie/candy froyo flavors, but I get it, that's not their thing. 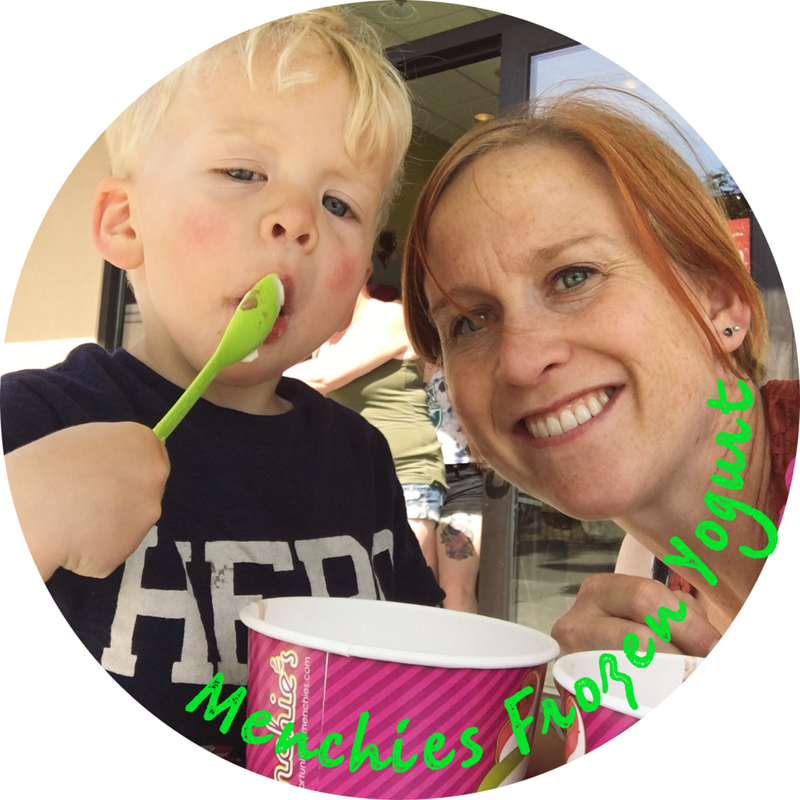 If you didn't know, Menchies is a frozen yogurt chain. I know they have them up and down the West Coast, but I'm not entirely sure they are on the East Coast. That said, and given my propensity towards froyo, I've been to many a Menchies store. Let me tell you, they are not all created equal. Some do a better job with the flavors and mixing of the yogurt (they have a mix to put in the machine and there is a technique to make it more creamy and good, believe it or not - I've asked). The Menchies at the Tacoma Mall is on the good list of Menchies stores. They do a great job in offering a variety of flavors and have the mixing technique down correctly. As a chain, they offer new flavors often alongside a movie release or something kid-friendly. My favorite is their cookies and cream flavor, but mud pie is pretty good as well. I also appreciate the real ingredients they use in their froyo. My "to be honest" comment: It's at the mall so parking can be tough at times. Plus, for me, it's further from home so sometimes I don't want to go all the way there. Lastly, fair warning: it's priced per ounce (I believe it's $0.51 per ounce), so don't go overboard like I do sometimes. As you've learned, I love me some frozen yogurt. Black Bear does the trick at fulfilling my cravings, but I would say the froyo at Menchies is better. That said, it's a cute store and they have a good number of flavors available. Plus, they have tons of toppings. If you ask, you can get a smaller cup so you don't end up going crazy on the weigh since it is priced per ounce. They also have some rolling high chairs, which Caleb loved when he wasn't walking yet. I'd roll him up and let him see and taste. My "to be honest" comment: Again, at $0.56 per ounce it can add up quickly. Also, my little quirk, I want more chocolate/cookie/candy flavors and they tend to go heavy on the fruit flavors. Good old DQ. I used to go here as a child when I was growing up. And thought it so freakin' cool when they would hold the blizzard upside down to show you it was solid and no pockets of air. I love that you can get the candy or fruit swirled into the soft serve ice cream. The blizzard is my favorite by far, but they have some much more. The chocolate dipped cones or the sundaes are also delicious. My "to be honest" comment: I'm not a huge fan of the atmosphere, but it's not bad either. I guess it's just nothing special; a regular fast food joint. Don't get the food, in my opinion, bleh. Don't judge the McDonald's people. It can be good for some things like breakfast and ice cream. Plus, it's cheap! The soft serve is really good and they can make flurries, which is McDonald's answer to blizzards. Sometimes you just need an ice cream fix and Mc-ee-dees will help you out. A bonus is a playroom if you have a little older tot - maybe get them to run off some of that sugar they just consumed. Or, grab it from the drive-thru, then when you hit the road, turn up the music and roll down the windows. My "to be honest" comment: The offerings are a little more limited with just vanilla soft serve as the base of the frozen creations. Also, some locations can be less nice to go inside depending on the area. The one on Pearl and 21st Street is our go-to. Did you know that the gelato inside the Metropolitan Market is gelato from Gelatiamo, made fresh daily in Seattle? It's also really the only place to get gelato, that I know of, these days. Don't be judgemental because it's inside a grocery store - this is a high-end, classy grocery store. The gelato is delicious, friends. The flavors are good as well. My "to be honest" comment: You have to go inside a grocery store, but it does have a nice area for sitting down inside and out. These showed up recently at the Proctor Farmer’s Market. I know they are around for the summer, but probably not year-round. I'm always a bit unsure on popsicles. I like things a little softer, hence the love for frozen yogurt, but I was impressed with these. They weren't hard as rocks especially if you give them a minute or two outside the freezer. Also, similar to Mexican paletas, they offer both fruit-based and milk-based pops. The fruit ones are vegan if that's your thing. My favorite flavor has been the chocolate banana. My "to be honest" comment: They are only available at the Proctor Farmer's Market on Saturdays. I'm throwing in a Puyallup option for some kicks and giggles. Sometimes you're in Puyallup and you need a sweet treat fix, are you with me? Josh isn't so big on the whole frozen yogurt thing as I am, so he was stoked to see fresh juices as an option. They also offer ice cream and acai bowls as well. The froyo is priced per ounce - this seems to be the frozen yogurt model that works these days. They have some good flavors and variety and great toppings. The juice Josh got was fresh, delicious, and made-to-order. Plus, it's a nice place to sit inside and enjoy. My "to be honest" comment: There is only street parking, but we didn't seem to have a problem. It could be a problem, though, for sure. Also, for me, it's further away so we don't get there often. I hear Top Pot in Proctor will have some ice cream options available soon, if not already. Also, inside the Tacoma Mall is Orange Leaf Frozen Yogurt. Baskin Robbins has a few locations as well. And Josh would be remiss if I didn't mention the Sonic Drive-In on 6th Ave. Lastly, I believe there is a Coldstone out in Puyallup and Lakewood if you're outside Tacoma. Boom! Ice Cream and frozen yogurt are both ready for consumption and nearby...now you just need to pick a place. Haha, decisions are tough in our family!